Restoration of an Iconic Bronze Monument “Golden Boy” - C. ROUSSEL INC.
18. 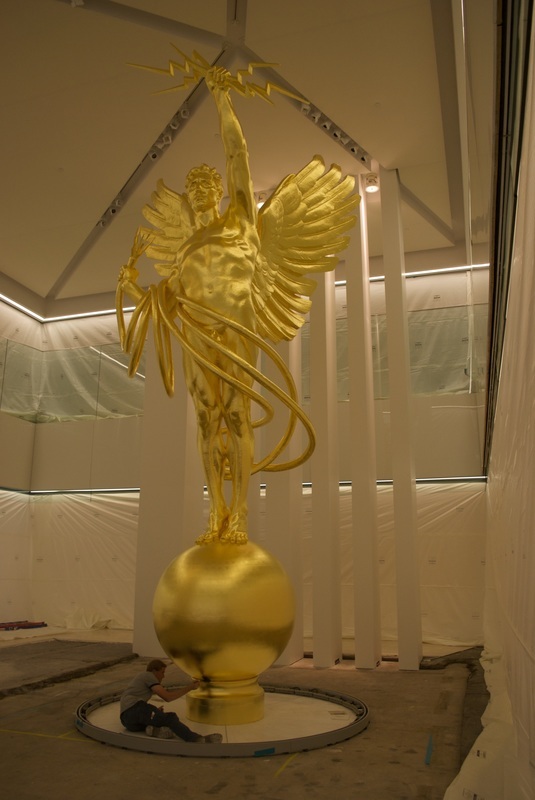 Restoration of an Iconic Bronze Monument "Golden Boy"
​This talk is about how Christine’s company restored a ten ton bronze statue that stood atop a 465-foot high tower in lower Manhattan. “Golden Boy” was created in 1918 by Evelyn Longman it has remained the symbol of the powerful corporation American Telephone & Telegraph. In 1980 Christine Roussel was asked to remove it from its lofty perch and re-site it in another iconic setting Philip Johnson’s “Chippendale” building, the newly built world headquarters of AT&T. Since then Ms. Roussel has moved and restored the gleaming figure four times, most recently to Dallas Texas. This well illustrated talk covers all aspects of bronze restoration, gilding, and the methods and materials necessary to move a unique twenty-eight foot-high sculpture.